There’s some advantage to growing herbs in pots and keeping them in the kitchen window sill. When you want a sprig of thyme or a few basil leaves to add to your pizza, they will be accessible. But these small plants will not give you enough raw material to make sauces or for drying and freezing. 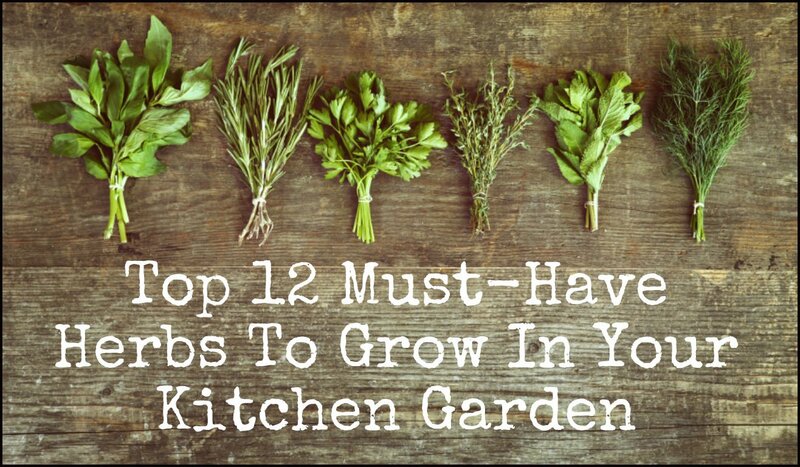 If you want an abundant supply of fresh herbs, grow them in the ground or in large raised beds. Large tubs may be considered for extremely prolific herbs that tend to encroach into the space of others. The following tips will help you have an abundance of herbs round the year. Location is important for an herb garden. The plants should receive plenty of sunlight, especially morning light. And they should be accessible for frequent harvesting. Importance should be given to the specific growing conditions of the herbs you want to grow. Some like it cool and dry while others do best with warmth and constant moisture. Some like full sun, but others need partial shade. In a dedicated herb garden, you can group together herbs with similar cultural needs. Some gardeners find it beneficial to plant on slopes where herbs with low water needs can occupy higher ground and those needing extra moisture can be planted at the bottom. You can start herbs from seeds, from cuttings taken from established plants, or from divisions of larger clumps. Nurseries may stock many named cultivars of popular herbs. Whatever your source, the plants you start with should be healthy and strong. Weak seedlings and pot bound ones often fail to thrive when you transplant them to the herb garden. Different modes of propagation suit different herbs. Some are best grown from seeds but a few, like chives, give better results when started from divisions of clumps. Basil plants grown from cuttings are good enough for your window sill herb garden, but they just don’t measure up to their seed-grown counterparts. Seedlings grow fast and vigorous, branching out in every direction to form good-sized plants. Annual and biennial herbs like cilantro, dill, and parsley have to be grown from seeds. Peppermints, spearmints, and rosemary grow best from rooted cuttings wherever they are perennials, although they can be started from seeds too. Herbs can be quite finicky about their growing conditions. When it comes to soil, some like it rich; some like it poor. It could be because we’re trying to grow them in conditions that are drastically different from the natural environment of their native lands. For example, rosemary is a Mediterranean native, but it is now widely cultivated all over the world for their aromatic leaves. Even with its conifer-like appearance, this mint family member is not hardy in USDA zone 5 and below. It likes relatively dry conditions, so good drainage is a must if your area receives a good amount of rain. Thyme, sage, rue, lavender, tarragon, and oregano are some of the other herbs that prefer poor, light, or rocky soils kept on the dry side. Rich soil may alter their taste and make them prone to diseases. We have a few herbs at the other extreme. Peppermint, basil, cilantro and lemon balm love rich soil. Plant them in beds amended with plenty of organic matter. They also need constant moisture in the soil. Water stress may drive them to premature flowering, or bolting, which effectively puts an end to their useful life. Most herbs manage to survive in small pots until their roots become pot bound. But surviving is not the same as thriving. Give herbs sufficient space to spread if you want to get a substantial supply. The space requirement of different herbs should be taken into account right from the planning stage. Crowding is not desirable. Sufficient space around the herbs allows not only good air circulation but easy access to each plant for tending it and harvesting the herb. To give a general idea of the space requirement of herbs, the most compact ones such as chives, cilantro, parsley and dill need one square foot of space for each plant. Factor in a circular space of 2’ diameter for plants with bushier growth and spreading habits. Basil, thyme, peppermint and tarragon come in this category. Allow 3’ diameter for rosemary and tall bushes of spearmint and lemon verbena. A similar spread should be allowed for sage and oregano if you want to have plenty of these herbs for cooking and drying. Herbs are cut-and-come-again plants. The ones with branching habit become bushier as you pick their growing tips since new branches would arise from the nodes below. In the case of basil and mints, a node may send out two new branches in opposite directions when the tips are pinched off. Non-branching herbs like cilantro can be harvested in two ways. Lower leaves can be snipped off regularly to get a continuous supply from the same plant, but it becomes a laborious chore if you have to harvest a large bed. It saves time and effort if you harvest whole plants when they reach a good size. The bed can be replanted with another batch of cilantro or some other herb. As we have seen, frequent harvesting keeps the plant in a vegetative growth mode. But growing new branches and leaves quickly depletes the nutrient stores of the plant. We need to feed the herbs regularly to make up the deficit. Since nitrogen is the main macro element that promotes leaf growth, feeding the plants with high-nitrogen fertilizers helps. If you’d rather avoid chemical fertilizers in your herb garden, top dressing with compost is a good option. Compost tea is also an excellent plant tonic rich in nitrogen compounds. In addition to regular harvesting, giving the herb bushes a through pruning helps maintain their youthfulness. You can use a pair of garden shears to cut down the top growth by half or one-third. This may expose woody, leafless stems that look unsightly. But new growth will soon cover the bushes and give them a new lease of life. Hard pruning is particularly effective with oregano, sage, peppermint and rosemary, but it doesn’t work with all herbs. Most herbs love sunlight but not too much heat. If afternoon sun is beating down on your herb beds, you may find them suffering, especially if the temperature rises above 90F. The young shoots may droop and the lush look of the bush may disappear. Repeated wilting zaps the vigor out of your plants, and they start developing thinner woody stems. You can do a number of things to protect your herbs from the summer heat. The quickest remedy is placing a shade screen on the south or southwest side of the herb garden to provide shade. If you have potted evergreens or bamboo, you can make a living screen that is both attractive and cooling. A more practical and aesthetically pleasing arrangement would be a trellis with fast growing vines like sweet potato, summer squash or even indeterminate tomato plants trained on it, but that requires a bit of planning ahead. Add mulch around the plants to keep the soil cool. Unglazed clay pots and ornamental jars filled with water help create a cooler microclimate in the herb garden. This used to be the role of water fountains in herb gardens of old. Although herbs generally need plenty of sunlight to do well, too much of it can be a bad thing, especially for basil, chives, mint, catnip, and parsley. When you plan the herb garden, position the beds after checking out the amount of light they receive during different times of the day. Arrange the beds in such a way that the shadow of taller plants falls on the small ones in the afternoon. Herbs don’t do well under trees that cast heavy shade, but if a tall overhead tree allows dappled light, they may be happy in summer. Deciduous trees are ideal because they will have bare branches in winter when more sunlight is welcome. Start batches of seedlings every 2-3 weeks to get a continuous supply of fresh herb. This is particularly relevant in the case of annuals and biennials that you harvest by pulling up the entire plant. Parsley is a biennial, but it is usually grown as an annual in herb gardens and pulled up at the end of the first year. You can start seeds every other week for successive plantings of dill and cilantro. They don’t transplant well, so sowing in situ is the best option. Some perennial herbs lose their vigor and vitality when they remain in the same spot for several years. Lift them up and divide the clumps. It will not only rejuvenate them but will give you extra plants to increase your stock and share with others. Chives, lemongrass, oregano, and catnip can be divided when they are 2-3 years old. Divisions are ideally done in early spring or late fall when the cooler temperatures help offset transplantation shock. Give extra care to the divisions until they are established.